JOHNSTON, Samuel, a Delegate and a Senator from North Carolina; born in Dundee, Scotland, December 15, 1733; immigrated to the United States in 1736 with his parents, who settled in Chowan County, N.C.; attended school in New England; studied law in North Carolina, admitted to the bar, and practiced in that State; member, State assembly 1760-1775; clerk of the courts for the Edenton District; deputy naval officer for the port of Edenton; member of the Committee of Correspondence 1773; delegate to the first four provincial congresses and president of the third and fourth; colonial treasurer; member at large of the provincial Council of Safety, and district paymaster of troops 1775; member, State senate 1779, 1783, and 1784; Member of the Continental Congress 1780-1781, and elected first President after the Articles of Confederation were signed, but declined to serve; presided over the State conventions of 1788 and 1789; elected Governor of North Carolina and was twice reelected but resigned in 1789 to become a United States Senator; elected to the United States Senate and served from November 26, 1789, to March 3, 1793; judge of the superior court of North Carolina 1800-1803; died near Edenton, Chowan County, N.C., August 17, 1816; interment in the Johnston Burial Ground on the Hayes plantation, near Edenton, N.C.
American National Biography; Dictionary of American Biography; Connor, R.D.W. 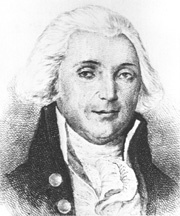 Samuel Johnston, Governor of North Carolina, 1787-1789. Raleigh: Edward & Broughton Printing Co., 1912.